I am proud to work for a local not-for-profit in Indianapolis called Heartland Truly Moving Pictures. I had the opportunity on Tuesday to attend an awards ceremony for the Rotary Foundation of Indianapolis where we received a grant for 2011 Heartland Institute programs. 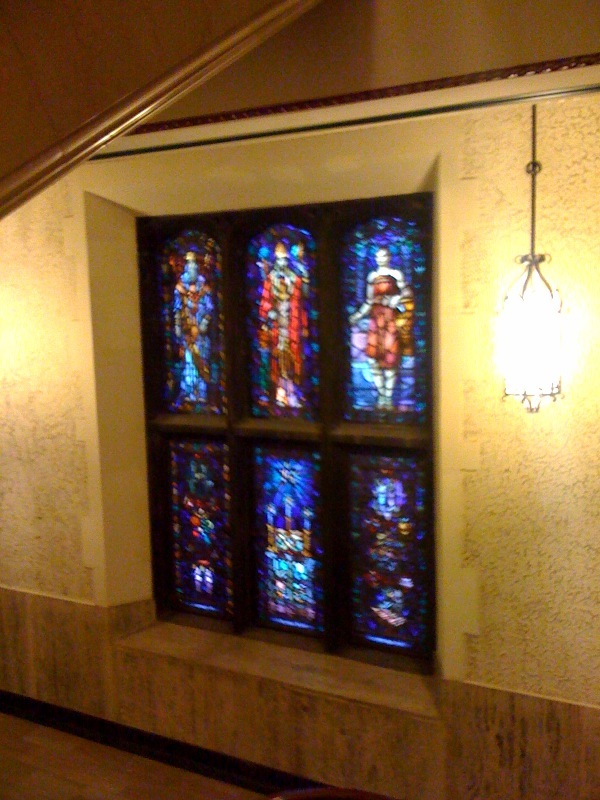 The luncheon was at the beautiful Indianapolis Scottish Rite Cathedral in downtown Indy. What a beautiful venue! I took a picture of one of many glass windows. If you haven’t visited the Cathedral, you should! This was officially the first grant that I submitted on my own for a grant that we received funding for. In my new job as Annual Fund Manager I will have the opportunity to write more grant proposals to foundations and corporations in hopes that we will receive funding but this one I am especially proud of because it is my first. I still have a lot to learn but I feel like I am on my way to making an impact which is my whole purpose for moving from the corporate world into the not-for-profit sector…lord knows it is not for the robust paycheck! For me, 2011 will be the year for hard work paying off. My other focus is learning as much as I can about social media and applying it to my personal and professional life while helping friends that I know want to get started as well. This is just a start in my journey so watch out! I also have a goal of being consistent about working out no less than 3 times a week at the Y. So far so good. I am in my second week and have remained faithful, albeit not always easy (elliptical, how I loath thee!) The only way I will see a payoff is to keep at it so I am committed. I have recruited a relative to hold me accountable so that we can both keep on track. We may kill each other in the process of pushing each other but it is fun! Learn more about social media and get on the social media bandwagon!! !